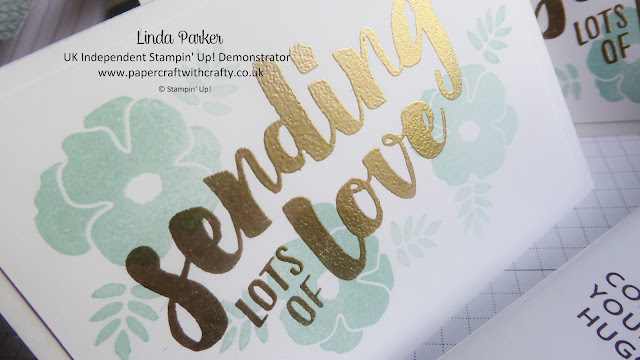 Its that time of the week again and I am busy busy busy, catching up from the weekend and prepping my latest Customer Thank You Packs. 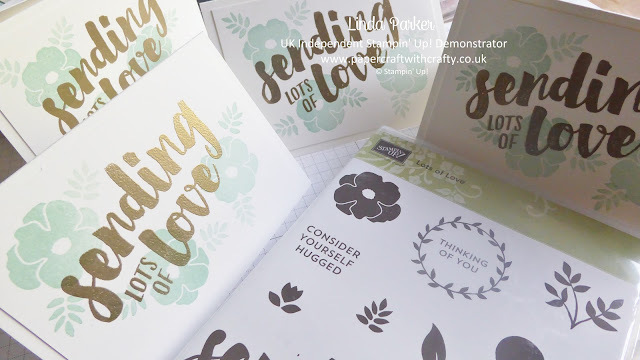 This week I have chosen to use the really incredibly pretty Lots of Love stamp set. I kept it nice and simple and stamped up three of the flowers and dotted with leaves here and there in Pool Party ink. I thought that the large striking sentiment would look even more striking gold embossed - and I think it does. 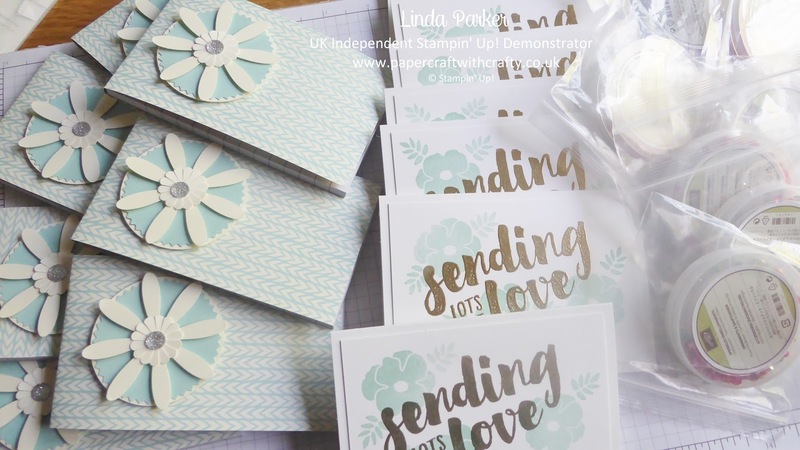 I decided to stick with the cool blue colour scheme and decorated some plain little notepads with pretty paper from the Bundle of Love Designer Series Paperstack. My three new punches, the Daisy Punch, Starburst Punch and the 2 1/4" Circle Punch were put to good use to create a pretty focal point. So that's it from me for today. Off to the Post Office later on to post this little lot.